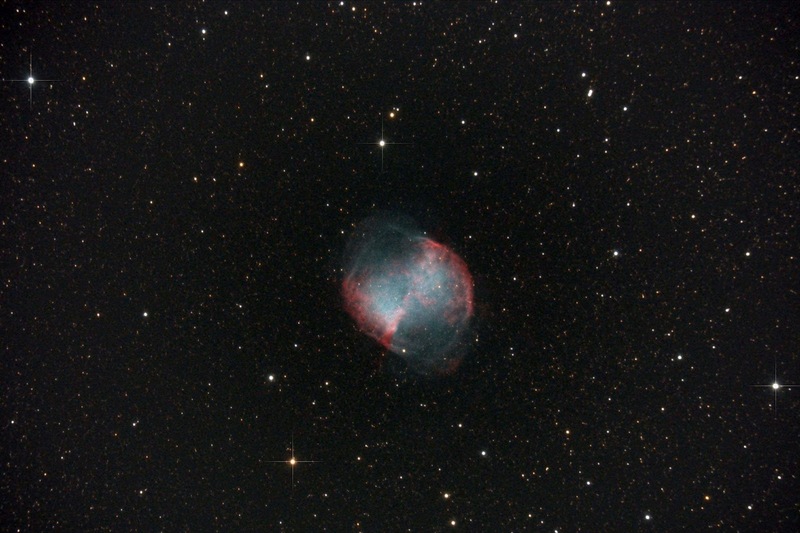 The Dumbbell Nebula is a planetary nebula in the constellation Vulpecula. It's distance is about 1,360 light years. It's a gaseous emission nebula created by a sun-like star that runs out of fuel. Imaged near Fort Davis, TX on July 20, 2012 without filters. I used my Celestron 11" Edge HD and autoguided with an Orion autoguider. This is an F/7 image. 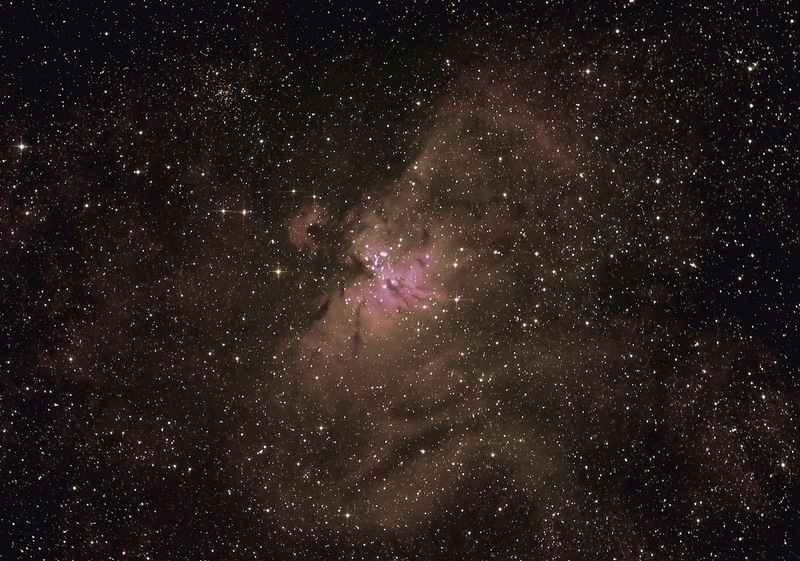 5min exposures captured with Nebulosity software and processed with MaxIm DL. I used my QHY8 CCD camera and the total exposure time was 100 minutes (5min X 20 exposures). The Lagoon and Trifid Nebula are in the constellation Sagittarius. 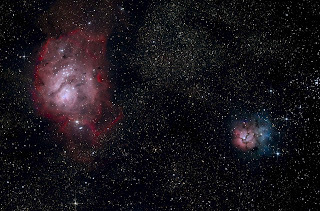 The Lagoon Nebula (M8) is the larger nebula on the left and the Trifid Nebula (M20) is the smaller one on the right. 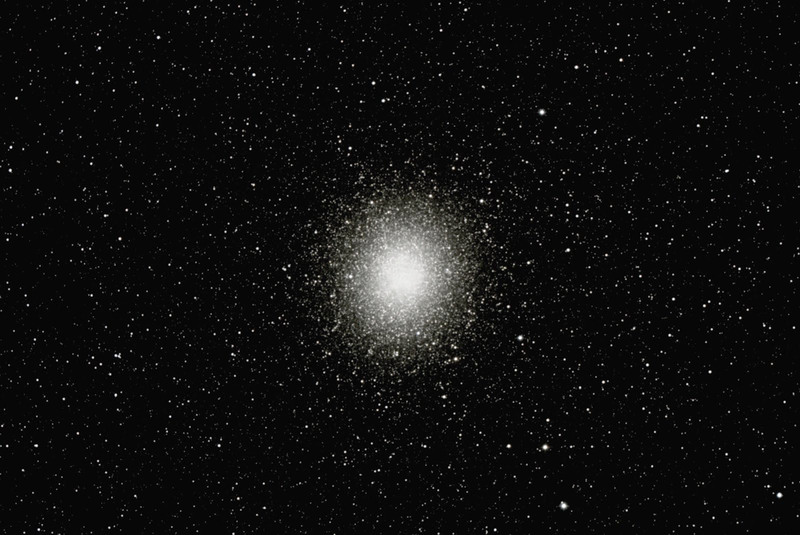 Notice the high amount of stars in the image. These objects are both about 5,000 light years away. 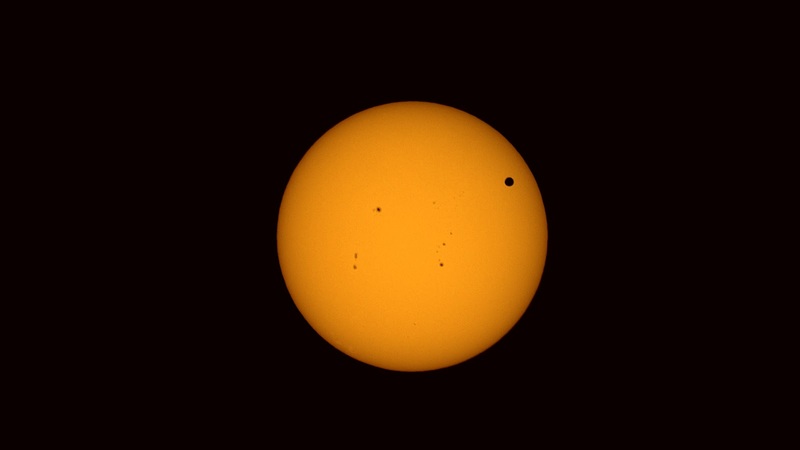 Venus Transit, June 5, 2012 from Midland, TX. 11" Edge HD and Canon DSLR. Short exposure using Thousand Oaks solar filter. The Eagle Nebula is a cluster of stars in the constellation Serpens and the pillar shapes in the middle of the nebula resemble that of an "eagle". The tower of gas that can be seen coming off the nebula is approximately 9.5 light-years high. The Pillars of Creation (center of image) imaged by Hubble in 1995, no longer exist. In 2007, astronomers announced that they were destroyed about 6,000 years ago by the shock wave from a supernova. Because of the limited speed of lght, the shock wave's approach to the pillars can currently be seen from Earth, but their actual destruction will not be visible for 1000 years. Celestron 11" Edge HD and CGE Pro Equatorial mount. The Owl Nebula (M97) is a Planetary Nebula in the constellation Ursa Major (Big Dipper). 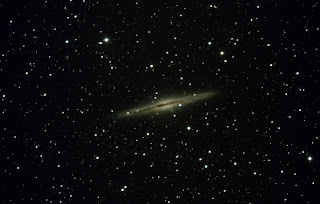 It is about 2000 light years from Earth. 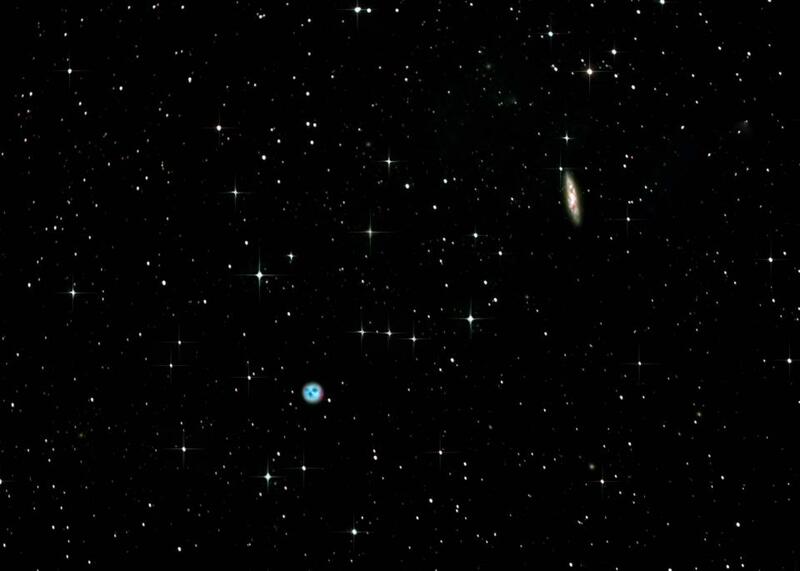 The ominous glow and shape of M97 represents the face of an Owl do to a dying star that emits gaseous emissions. 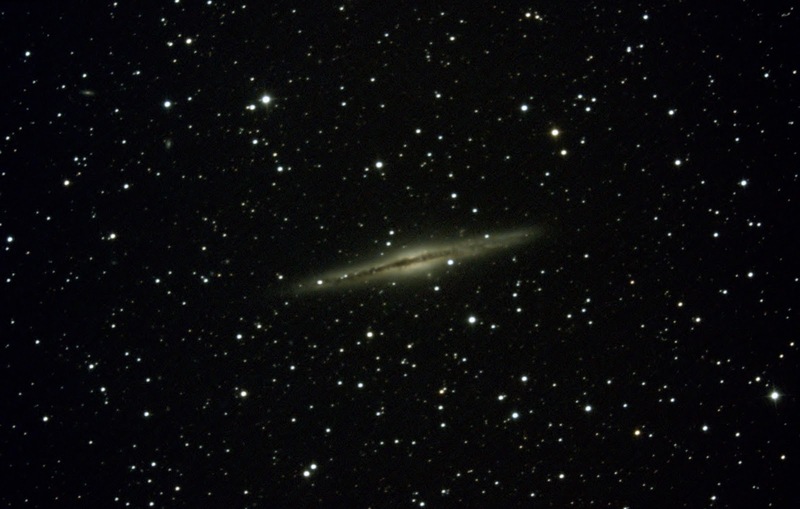 M108 is a spiral galaxy that is about 45 million light years away. 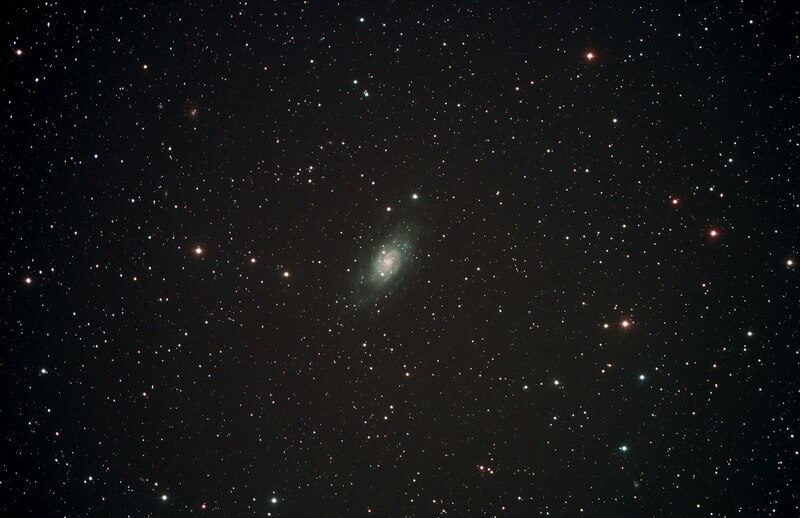 Together, M97 and M108 make an amazing pair for a photograph. Imaged in Fort Davis, TX on April 20, 2012. The Horsehead Nebula is a dark nebula in the constellation Orion. 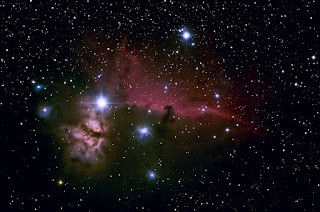 About 1500 light years away, the horsehead is one of the most identifiable nebula. 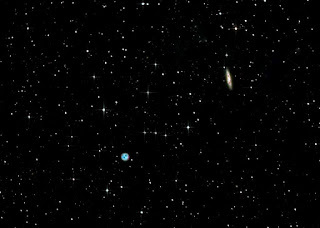 Imaged in Fort Davis, TX on the night of March 23, 2012 using a QHY8 CCD camera and Hyperstar. Autoguided with an Orion Single-Shot autoguider. 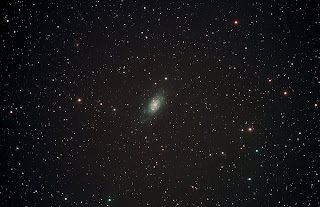 Used my Celestron 11" EdgeHD and CGE Pro Mount.